To each and every Elvis Presley fan, casual viewer of this blog, Jack Soden, Lisa Marie, Linda Thompson, Alanna Nash, Sandie Kaye Stevens, Martine Prizzo (pardon if I misspelled the name but she is a good friend and knowledgeable about Elvis Presley and other great rock and roll artists as well as being one of my Facebook friends) Sandi Pichon, Billy Smith, Larry Geller, Russ Howe, Paul Lichter, etc I want to wish you and yours a blessed and Merry Christmas 2017. God so loved the world, that he gave his only begotten Son, that whosoever believeth in him should not perish, but have everlasting life. I believe this and I respect others who may have a different emotion, opinion, etc. But on this day, the 25th of December 2017, families come together and express their friendship and love for another and that is a beautiful thing indeed. To those who are in prison/jail (excluding those of pure evil and have harmed others), and to their families and loved ones, I pray for you as your lives are deserving of respect and second chances. May you know that others are praying for you and wishing you success, good health, and happiness. This time of year has always been the hardest for me (i.e. from mid September until January the 7th) as the worst things I have ever endured have happened on these dates. But, some of my children and their mother were born during this time period so even through the darkness their light comes through. PS: Here are 7 cool Elvis photos. Enjoy and let others know about our sites/blogs via social media. The first photo is of Elvis with Priscilla circa 1968. 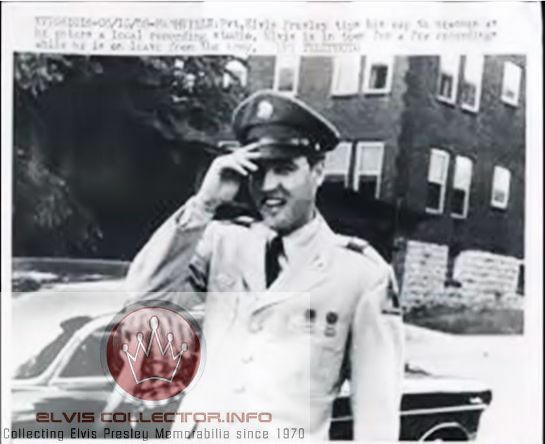 The second is of Colonel Parker visiting Elvis while Elvis was in the US Army. The photo is circa 1959. 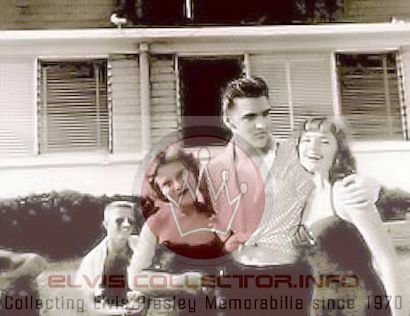 The third is Elvis’ beloved mother Gladys in the backyard circa 1957. Very rare. The fourth is Elvis signing autographs. Notice his ring and bracelet. The man had style. The fifth is a drawing I made in high school. It became a part of my portfolio, and acceptance, when I attended college at the Art Institute. My drawing is from a publicity photo of Elvis circa 1956. The sixth is circa 1969 of Elvis with Priscilla and Tom Jones with Tom Jones wife. The seventh is a personal note, with signature, of Elvis’ handwriting. The man was (wholly) unique as was his signature and his handwriting. I don’t know why but as the years pass by I find myself often reflecting and, in between having a permanent broken heart and missing/loving/wanting the best for/etc my children, yearning for days gone by when Elvis was filling stadiums and his songs fluttered on the airways. Now it is January 8, 2017 and the 82nd anniversary of the day he was born. Man, in a few years it will be MORE YEARS PAST THAN ELVIS PRESLEY EVER LIVED. The math on this is that Elvis was 42 years old when he died. As of today it has been 39 years since he (sadly) passed away (August 16, 1977). So, in the next few years it will 43 years since Elvis died versus the 42 years he lived. What a loss. What a…loss. Graceland, and Priscilla and Lisa Marie, will (in all probability) have a week of acknowledgement filled with events as fans gather from around the world. His beloved home, Graceland, will be open and there will be candle light vigils in remembrance. The tree, whose branch expectantly broke while the members of the “Memphis mafia” were in a car during his funeral/mourning, will still be there as is the wall that fans have been writing on since the 1950’s. I have Elvis’ music, and other eclectic singers, in every “listening device” including the albums and 45’s (which I have two record players but I don’t want to damage the records which was not the case when I was a child/young man/younger/etc. as I played the grooves off each Elvis record I could get my hands on. Man, what a…loss. As 2017 rolled around I was heavy hearted thinking about all of the people who (sadly) passed away that were; related to, loved by, trusted by, worked with, etc. Elvis. The same is true with others in the entertainment industry whose passing were worldwide news. But, Elvis had an uncanny ability to surround himself, individually and collectively, with people of quality. Of great intellect and personality. Of being grounded and unique. 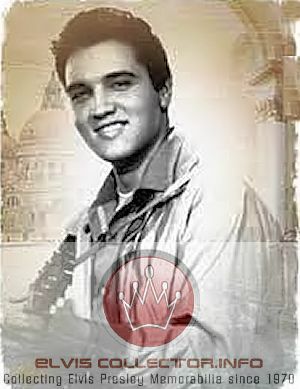 With sadness, yet respect, I have put their names in memorandum on http://www.ElvisCollector.info. I hope to add much more content to these special people. 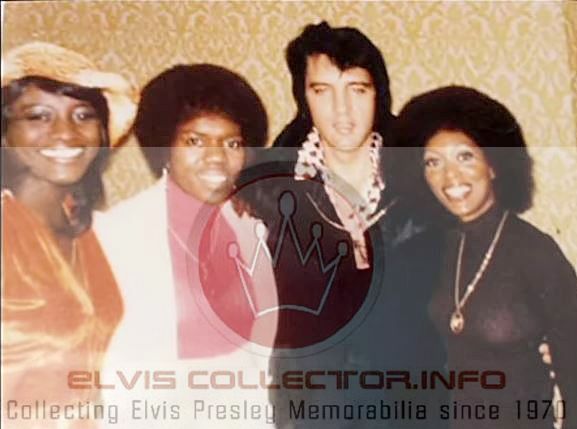 While I created http://www.ElvisCollector.info with hesitation and with nothing other than a positive distraction for me far removed from my cancer treatment(s) and my divorce but most of all from the nightmare that is custody/visitation issues. My heart goes out to the children of divorce as well as their parents and loved ones. 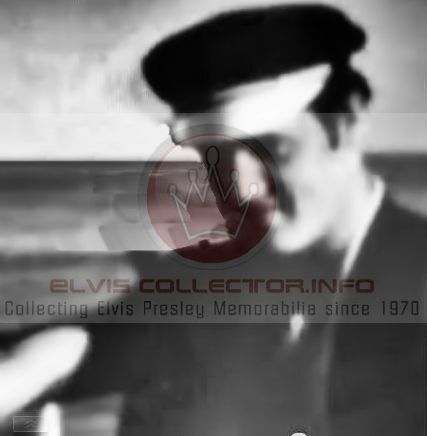 Back to http://www.ElvisCollector.info. 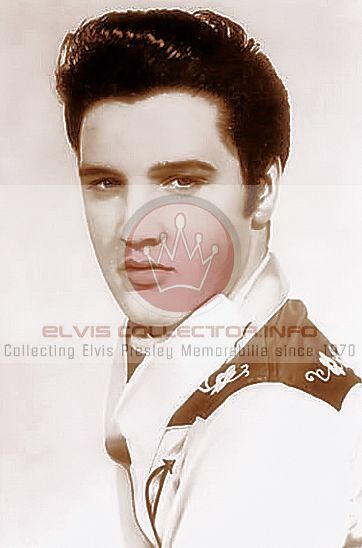 I have been amazed at how many people visit http://www.ElvisCollector.info each day. Each month. Each year. At one point I put “digital pins” on a “digital map of the world” on my laptop(s). The pins were red and the map was white outlined in black. Before the month was out the red pins were in (literally) every corner of the world. To make things even more joyous the site was ranked, in about 70 different categories, number 1 in many search engines. I added site content and decided to put “never seen before” photographs along with cool and unique; videos, audio files, photographs, documents, handwriting, personal possessions, etc. pertaining to Elvis. 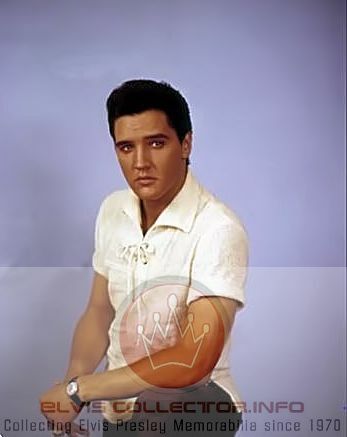 But, I had a few “non-negotiable s” such as; I would not allow anything about Lisa Marie (out of respect as she has her own forums to do so if she wants), I would not allow anything about anyone Elvis dated other than Priscilla (this was a hard decision for me as so many of those Elvis dated are INCREDIBLE people including Linda Thompson, Sandie Kaye Stevens, Kathy Westmoreland, etc.) for the same reason pertaining to Lisa Marie, I would not allow anything to be sold/offered for sale, I would not allow any ads, I would not allow any pop-ups, I would put things on the site that were interesting to me, I would write original stories/articles about Elvis onstage and off, I would put an emphasis on the visual (photographs, videos, etc. ), I would put Elvis’ life onstage and off told by FACTS and in context, and I would keep the format simple yet compelling. I also wanted fans to know about other sites, and person(s) (including but not limited to Russ Howe, Paul Litcher, Phil Arnold, Sandie Kaye Stevens, Sandi Pichon, Marty Lacker, Alanna Nash, etc. ), about Elvis. Now, I have very high standards, as has been the case since the late 60’s, but these sites/people are truly deserving to be recognized. I hope people check out every site/person listed as they are worth the “click” and the “time”. Well, I’m off to knock out a few chores/errands but here are a few cool things that I hope your enjoy. 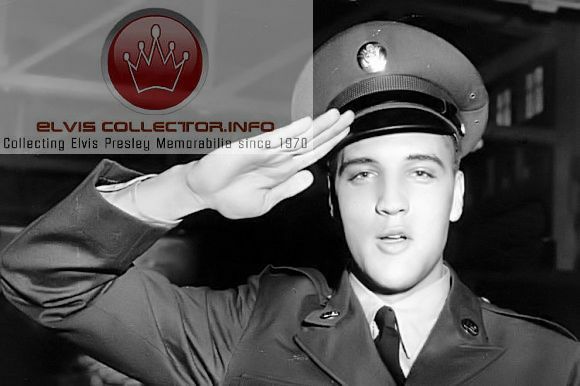 Please visit, and share via social media and verbally, http://www.ElvisCollector.info and http://www.ElvisCollectorWorldwide.freeforums.org (please BOOKMARK as the name is sooooo long and typing it over and over will give you carpal tunnel) the Elvis Presley forum that is 100% free to join. Please note that the forum is still in the “beta testing” realm and hopefully 2017 will be the year it is up to par with my expectations. I hope you enjoyed this article. Take care and may God bless you and yours always.